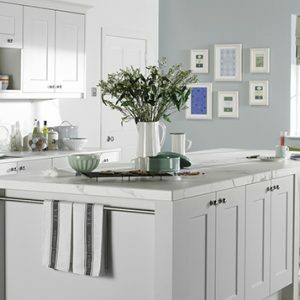 The Lydon is a lovely new take on a shaker door. 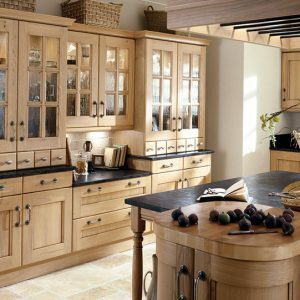 With its wide frame, knotty oak finish and chamfer detail, it is one of my favorite kitchens to work with. It of course has a full range of accessories. 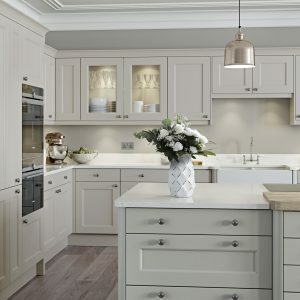 As a wide frame shaker, this is one of the best natural oak versions. 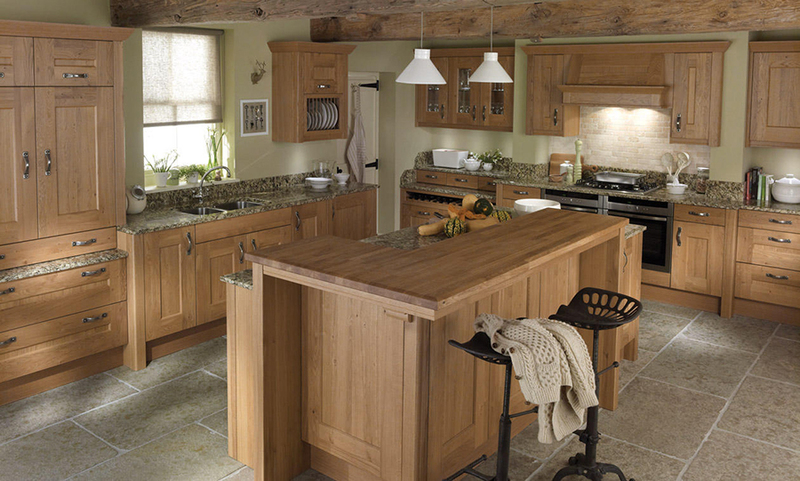 The knotty timber selection and chamfered bead with set back center panel, brings the kitchen to life. 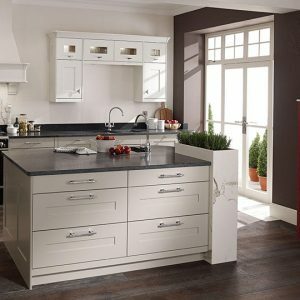 For those looking for a clean living classic kitchen then this Lydon or its painted sister the Langham is certainly a look at. The Lydon and Langham kitchens have a center panel set deeper than standard and the inner edge of the frame is chamfered to the panel. This design feature complements the otherwise shaker design. The range includes all the door sizes that one would expect along with a full compliment of accessories including radius doors.